We’re giving a demonstration and a poster presentation of our new GA4GH-compliant web-based Beacon (https://validsplicemut.cytognomix.com) at the 2019 American College of Medical Genetics and Genomics annual conference this week. 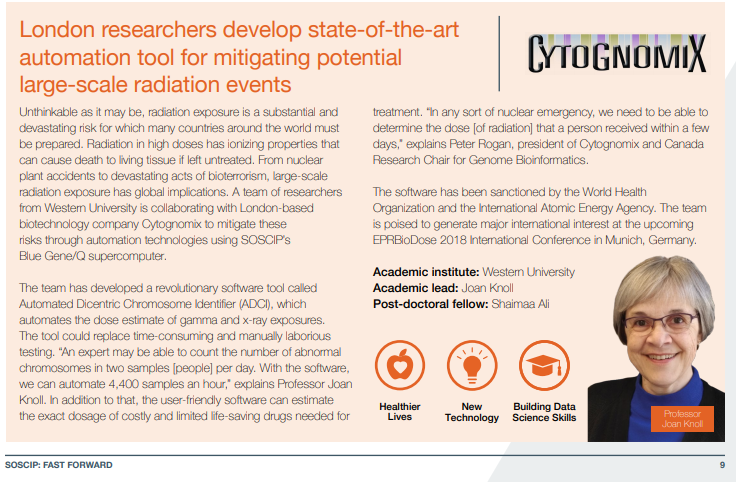 An e-poster is available on the CytoGnomix website (direct link to poster). The work has been published in F1000Research (link). This Beacon resource was created using the MutationForecaster system. This work will be available as an ePoster AS WELL AS being presented in printed format on a poster board during the Annual Meeting. Details to access the ePoster will be available soon. This paper describes high quality qRT-PCR and microarray expression data of predicted splicing variants. The results confirm results of genome-wide TCGA and ICGC RNASeq findings (https://f1000research.com/articles/7-1908/v1). 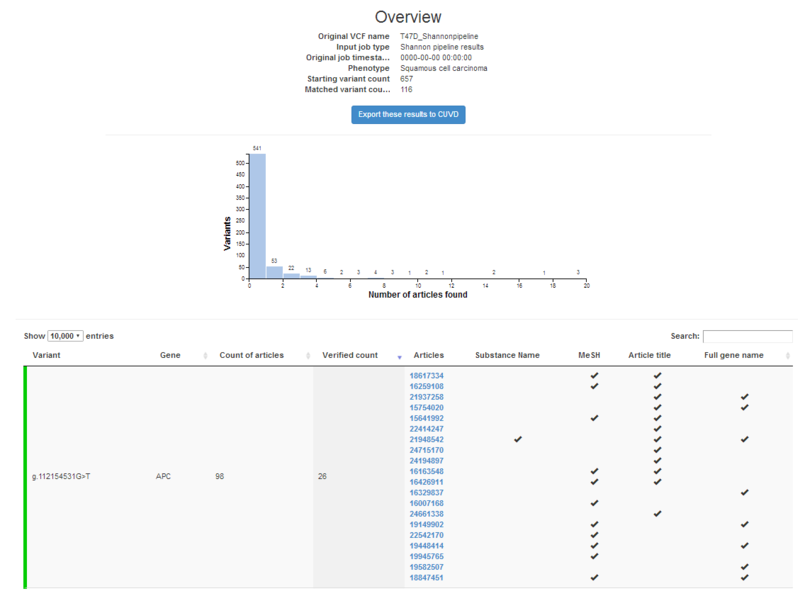 The genome scale results were obtained using CytoGnomix’s MutationForecaster (http://mutationforecaster.com ) system. We have just updated the CytoVA software product. It now contains all PubMed references through Dec 2018 and the most recent version of the human phenotype ontology (HPO). With CytoVA (see below), you can query Shannon pipeline, Veridical or VEP output, the list of predicted deleterious variants, with this software for HPO clinical phenotypes. The software reports the articles, and PubMed index codes that support the relationship between the gene variants and the queried phenotype. It’s a very effective way of filtering exome or complete genome sequencing results to limit the best candidate variants. Our paper: “Predicting responses to platin chemotherapy agents with biochemically-inspired machine learning” has been pulbished in the journal Signal Transduction and Targeted Therapy. Mucaki EJ, Zhao J, Lizotte D, Rogan PK. 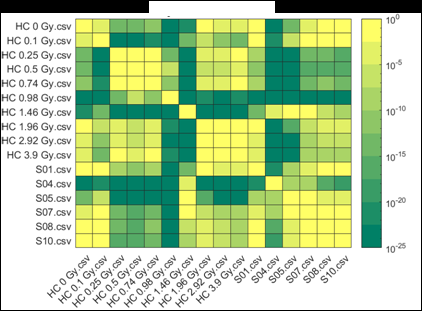 Predicting response to platin chemotherapy agents with biochemically-inspired machine learning. 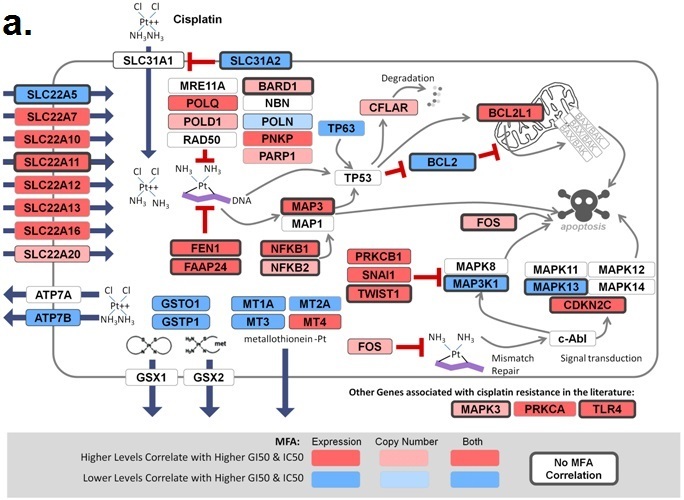 Signal Transduction and Targeted Therapy, in press. on homologous chromosomes in the human genome. accessibility to homologous metaphase chromosomes. Burke LJ, Sevcik J, Gambino G1, Tudini E, Mucaki EJ, Shirley BC, Whiley P, Parsons M, DeLeeneer K, Gutiérrez-Enríquez S, Pena MS, Caputo S, Santana dos Santos E, Soukupova J, Janatova M, Zemankova P, Lhotova K, Stolarova L, Borecka M, ENIGMA consortium, Edwards S, Blok R, Hansen TvO, Diez O, Vega A, Claes K, Rouleau E, , Radice P, Peterlongo P, Rogan PK, Caligo M, Spurdle AB and Brown MA. BRCA1 and BRCA2 5’ non-coding region variants identified in breast cancer patients alter promoter activity and protein binding, Human Mutation. Optimization of image selection in Automated Dicentric Chromosome Analysis. Li Y, Shirley B, Wilkins R, Flegal, F, Knoll JHM, Rogan PK. EPR Biodose 2018, June 11-15, Munich Germany. Predicting exposure to ionizing radiation by biochemically-inspired genomic machine learning. Rogan PK, Zhao JZL, and Mucaki EJ. EPR Biodose 2018, June 11-15, Munich Germany. 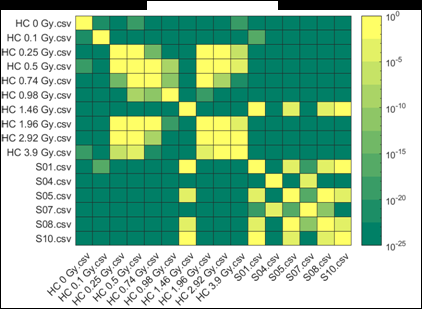 Comprehensive prediction of responses to chemotherapies by biochemically-inspired machine learning. (Best Poster session) Rogan PK, Zhao JZL, Mucaki EJ. European Society of Human Genetics 2018, June 16-19, Milan Italy.